Happy National Dog Biscuit Day! I hope you are enjoying your weekend. 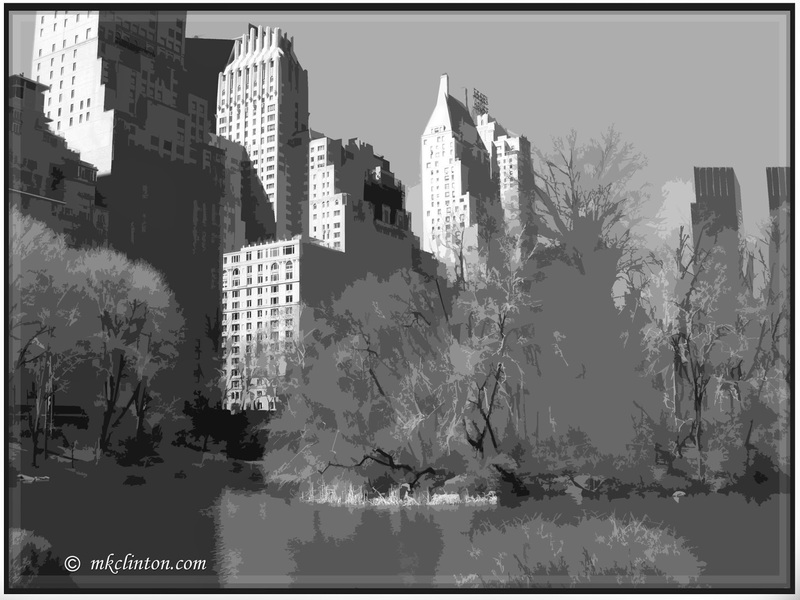 Are you ready for some cool black and white photos? 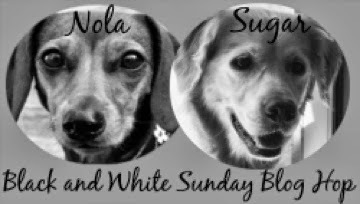 I’m joining Dachshund Nola and Sugar The Golden Retriever's B & W Sunday blog hop. You know what that means…click and hop on the blog icons below to see other great photographs. My husband took this photo at the lake in New York’s Central Park. Thanks to Dachshund Nola & Sugar the Golden Retriever for hosting B & W Sunday! Hop to it and visit these other blogs! Fantastic pic. Have a great sunday. What a cool photo, never been to NY but on bucket list. Have a great Sunday. Nice, I like how you've stylised it! Very cool effect on that photo! Jan said it seems funny to see photos in black and white again, since she's gotten so used to color, but since joining B&W Sunday, she has enjoyed seeing the photos.